The latest Drought Monitor released this morning shows that abnormally dry conditions more than doubled across the region in the last week. Most areas received no rain at all in recent days, while temperatures have been at or above normal. 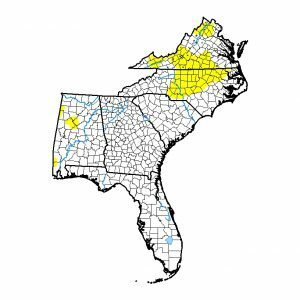 Abnormally dry conditions were introduced into parts of Alabama as well as expanding in both Virginia and North Carolina. Rain this weekend from tropical system Nate may help alleviate the dry conditions.